If you have homeowners’ insurance, and you are making insurance claims, there are steps you will need to take quickly to protect your legal rights. Give to the insurance company as soon as possible a “Proof of Loss”. This proof of loss must contain certain information, which we set out below. A civil litigator can help. 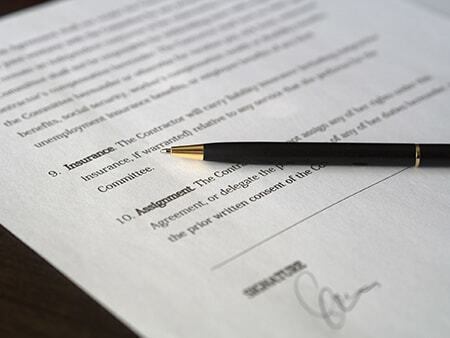 The proof of loss has to be verified by an oath, known as a “statutory declaration” to the effect that the losses claimed and the statements made are true and accurate. Do not try to deal with the insurer yourself. Ask the civil litigators at Steinmans Trial Lawyers to help. Your home may now be uninhabitable. You may have been forced to stay with friends or in hotel. You are displaced and off-balance. The physical and emotional distress associated with a major event – like a flood or a fire – with resulting damage to your home and possessions – is enough of a challenge. Allow the civil litigation team at Steinmans Trial Lawyers to assist you in making insurance claims in Burnaby, Vancouver, the Lower Mainland, Prince George and Kelowna. that the property owner provided inaccurate or misleading information in the application for insurance. the property owner made changes that are significant in the use of the property without informing the insurance company, which can also result in a denied claim. the property owner may have deliberately set the fire/arson. These are serious allegations. You should not try to deal with the insurance company yourself when you are faced with this type of serious claim against you. You will need a civil litigator’s help to negate these allegations in making insurance claims. Do not try to deal with the insurer yourself. Get the help of a civil litigation attorney. The physical and emotional distress associated with losing your home and possessions is enough of a challenge. Allow the civil litigators at Steinmans Trial Lawyers to assist you. We have an office in Prince George, B.C. to help with the preparation of claims. If necessary, we will start an action in court to obtain a payout from the insurer. Contingent fees, hourly fees or flat fees are available for certain claims. There are strict timelines – deadlines called limitation periods – for starting your lawsuit. Do not delay. Contact a civil litigation lawyer at Steinmans Trial Lawyers today.